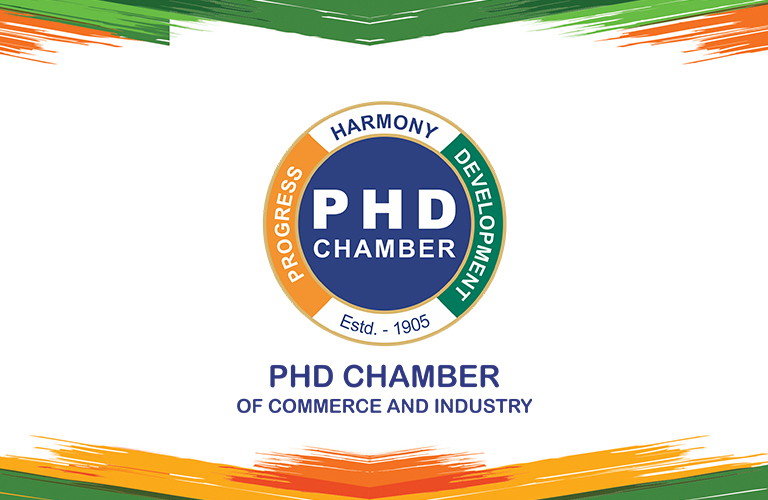 PHD Chamber of Commerce and Industry, established in 1905, is a proactive National Apex Chamber working at the grass-root level and with strong national and international linkages.The Chamber acts as a catalyst in the promotion of industry, trade and entrepreneurship. PHD Chamber, through its research-based policy advocacy role, positively impacts the economic growth and development of the nation.PHD Chamber is more than an organisation of the business community, as it lives by the chosen motto In Communitys Life & Part of It and contributes significantly to socio-economic development and capacity building in several fields. PHD Houses at New Delhi and Chandigarh provide modern conferencing and catering facilities for corporate events, board meetings, training programmes, etc. 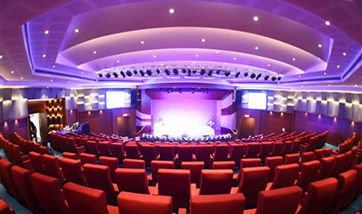 With a modern auditorium, several conference and meeting rooms to suit different requirements and also a business centre, while the ambience is international, the cost is economical. PHD Chamber operates through various Expert Committees / Task Forces comprising of representatives of member companies and experts. Views of the Chamber are formulated on topical issues through deliberations in these Committees / Task Forces. With the in-house expertise at PHD Chamber, we give business advice to Indian companies on most aspects of their business. These include, apart from national and regional economic and industry related issues, corporate affairs, taxation, finance and banking, capital markets, infrastructure and energy, labour and industrial relations, human resources and skill development, tourism, agri-business, environment, etc. PHD Chamber is authorised by the Government of India to issue certificate of origin (non-preferential) to Indian exporters. We also attest commercial documents of various types. Recommendation letters for visas for business promotion to foreign diplomatic missions in India are also issued for representatives of Indian companies. In its endeavour towards capacity building in the country, PHD Chamber organises focussed entrepreneurial development training programmes in cooperation with the Konrad Adenauer Foundation of Germany. 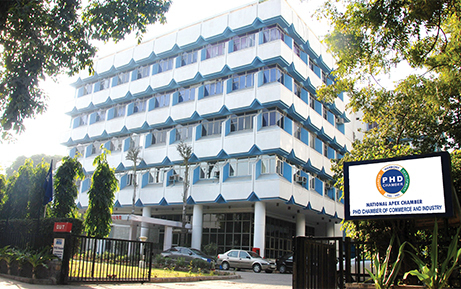 The Chamber has its headquarters in Delhi and regional offices in all states except Tamil Nadu, Orissa and West Bengal. The Chamber has its presence Pan India, through regional and state chambers with memorandum of understanding. PHD Chamber provides regularly customised and value-added knowledge and information to you ranging from business opportunities to important policy changes to help you stay ahead of the competition. The Chamber regularly interacts with Central and State Governments on all issues having bearing on Industry, Trade and Commerce..
PHD Chamber is represented on more than 130 Central and State Advisory / Consultative bodies. Both Central and State Governments consult PHD Chamber before announcing or formulating any major economic / industrial policy. PHD Chamber produces well researched background and policy papers on topical issues to initiate informed debate and discussion. To discharge its social responsibility, the Chamber has three voluntary organisations for fulfilling its commitments to the cause of socio-economic development and to promote the role of corporate sector for the upliftment of rural masses. Through the support of members, the Chamber has been regularly contributing in cash and kind towards relief and rehabilitation of the victims of natural calamities and disasters. PHD Chamber provides you excellent networking opportunities with government officials, diplomats, leading names from all spheres of life and also your business peers.